Janet Wertman has followed her successful novel “Jane the Quene” with book 2, “The Path to Somerset” in what she has entitled “The Seymour Saga”. 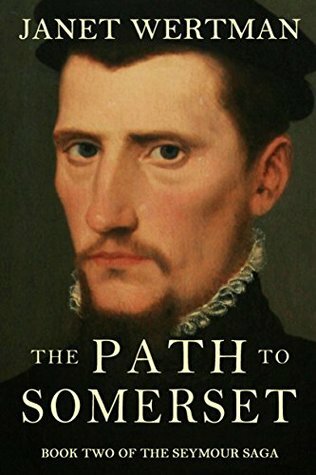 This volume is a richly detailed and dark account of the rise of Jane Seymour’s elder brother Edward to the position of regent and Lord Protector of England for his nephew King Edward VI. The story covers some of the most significant episodes in the reign of King Henry VIII. Edward Seymour was one of the few people who were well liked by Henry VIII. 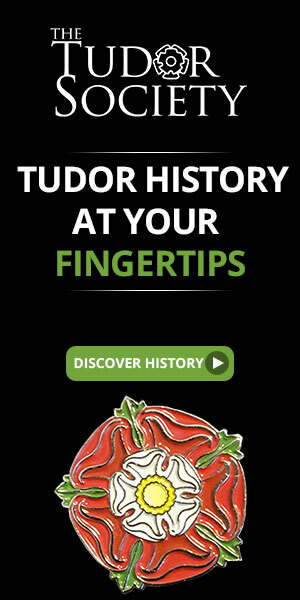 All your favorite Tudor personalities appear in the saga including Thomas Cromwell, Archbishop Cranmer, Thomas Howard, Duke of Norfolk, Margaret Douglas, Edward’s brother Thomas Seymour, Edward’s wife Anne Seymour, Stephen Gardiner and many others. This is a reliable depiction of the inner workings of King Henry’s government from 1540 until his death in January of 1547. Wertman has written some great scenes displaying the animosity between Cromwell and Norfolk. The first meeting between Henry VIII and Anne of Cleves is portrayed and very enjoyable. We see the rise and fall of Catherine Howard and Henry’s marriage to the mature widow Katherine Parr. We are witnesses to the scheming of certain men in the council to bring about Queen Katherine Parr’s downfall. The death of Henry and all the machinations behind the scenes are shown here with some exceptional dialogue. Wertman brings these people to life. A very enjoyable read and looking forward to Wertman’s next installment on the Seymour family. This book was originally published in 1978 and then reissued in 1996. It was about that time I was reading whatever I could get my hands on by Erickson such as “Great Harry”, “The First Elizabeth”, “Mistress Anne” and “To the Scaffold: The Life of Marie Antoinette”. I also read this book then and remembered how much I liked it. 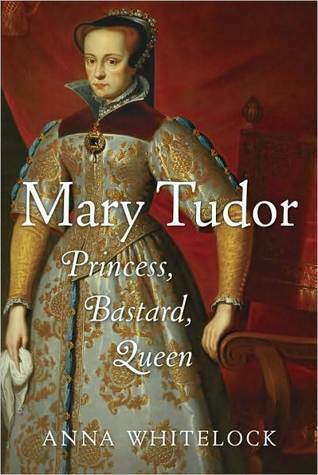 I decided to re-read it, something I don’t normally do but my reading list included three other biographies on Mary Tudor and I wanted to see how this one measured up to more recent historical research. Erickson’s work has withstood the test of time quite well actually. I’m going to go out on a limb here and say that of the four biographies I’ve read on Mary Tudor, this is the best. They all have their charms of course and each one has a different focus. There is so much information on the reign of Queen Mary I that the narrative is similar in all the bios in most respects. What sets this one apart from all the others is Erickson’s brilliant way of inserting little captivating tidbits of history and insight concerning the Tudor era. There’s a lot of social history here that draws in the reader. There is some great medical information regarding the sweating sickness and the influenza that reared its ugly head in the last year of Mary’s reign and may have actually caused her demise. She gives us insight into the depredations of the Dissolution of the Monasteries and how it damaged the lives of the nuns, monks and ordinary people. There are descriptions of the burning of heretics and how there was court intrigue and open fighting, including murder between the English courtiers and members of King Philip II’s Spanish entourage. I also love the anecdote concerning Elizabeth Crofts and the “voice in the wall” that disparaged Mary’s Catholicism as well as her marriage to Philip and touted the superior qualities of the Princess Elizabeth, Mary’s sister and Protestant heir. Erickson gives the best explanation yet for the justification of the burning of heretics during Mary’s reign and puts it into the context of Europe in the mid-sixteenth century. It wasn’t just a matter of religion. Heresy was an existential threat to the government itself. Add into this mix the influence of the Spaniards, the Inquisition and the influential men around Mary who wanted to prove themselves to be good Catholics (Reginald Pole, King Philip, etc.) and you have the perfect storm to create a climate of fear and death. Erickson was certainly one of the earliest historians who tried to rehabilitate the reputation of Mary Tudor. She gives great insight into Mary’s personality, courage and fortitude. Mary had to navigate a very narrow path between being the first Queen Regnant and being a wife who was obliged to obey and relegate herself to her husband’s commands as all women were required to do during this era. Mary was continually surprising her councilors and demonstrated great bravery during the showdown with Northumberland over Lady Jane Grey and during the scary Wyatt Rebellion when the insurgents were right outside the castles walls. Mary stood her ground and refused to leave. As I say, this book has withstood the passing of time since its first publication. It is a great read and I highly recommend it. This is the third biography I’ve read on my list in doing research. While they have all been good so far, this is the best for several reasons. It is clear that Mary has been much maligned by the vicissitudes of history. She is hated and misunderstood and is best remembered for the burning of heretics during her reign, mostly due to the work of John Foxe and his “Book of Martyrs”. Porter does a masterful job of cutting through all the myths and gives us incredible insight into the personality of Mary and the circumstances of her time as Queen of England. Ms. Porter gives us a vision of what Mary was thinking from an early age and how she was treated by her parents. In the beginning, Mary was considered a sparkling princess, given a household of her own, the best classical education and music instruction, beautiful clothes and jewels. Even though she was not in the presence of her parents for any extended period of time, she adored them. This made it all that much harder for her to accept the high intensity treatment by her father when Henry VIII repudiated her mother and demoted Mary’s status. For a long time, Henry didn’t acknowledge Mary as his heir. He finally did and then withdrew the endorsement. Mary never recovered from the stress of her complete and utter submission to her father. She then spent several years in relative peace, keeping her thoughts to herself and out of trouble. When her brother Edward VI reigned, Mary was under pressure again. When he died, Mary faced her greatest challenge. 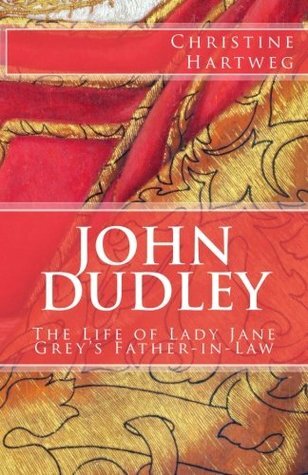 There were those who put forth Jane Grey as Edward’s successor and Mary risked all to take the throne from Jane. It was a great triumph and showed Mary’s courage and tenacity. Once Queen, Mary had many issues to contend with. Her council was always at odds. Her choice of husband didn’t go down well and her phantom pregnancies were highly unusual. Philip did treat her appropriately and with complete respect but left England as soon as he could. There were several rebellions against her but she rose to the challenge and deflected the danger. Her efforts to return England to the Catholic Church didn’t make much headway. The kingdom suffered from famine and pestilence in the last year making things that much more difficult for Mary. In the end, Mary herself succumbed to the rampant influenza. 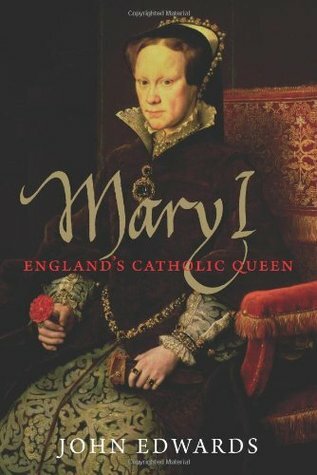 I loved this book for the insight into Mary’s personality and Mary’s vision for England. Of the three books so far, Porter gives the best explanation of Mary’s persecution and execution of the Protestant martyrs, putting it into the context of what was happening in Europe at the time. She also explains how Mary paved the way for her sister Elizabeth, giving her a template and good foundation for her long reign. Porter goes a long way toward restoring Mary’s reputation as the first English Queen Regnant. This is a really balanced reflection on her accomplishments. 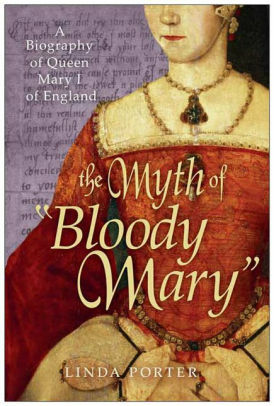 I’m in the midst of reading several biographies of Mary Tudor which I’ve had on my bookshelves for a long time. It is an interesting exercise to see how each writer views the subject and writes about her differently. I know I shouldn’t compare but it’s hard not to. The first book I read was John Edward’s biography which is a more academic and scholarly book. 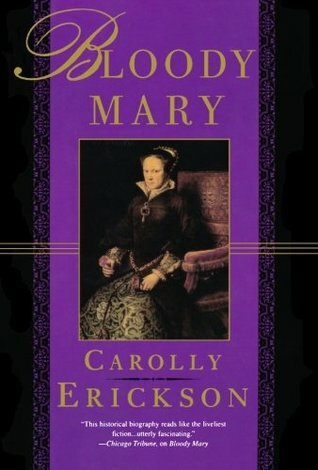 While it gives good insight into Mary’s personality, Edward’s expertise in Spanish history gives the book more of an emphasis on her marriage to Philip II as well as her mission to return the English church to Catholicism. This book is much different. Whitelock’s writing is fast, breezy and easy to read. It seems more like novel than an academic work. There’s nothing wrong with this, it’s just different. There is a great deal of documentation on Mary’s life. One advantage to this volume is the author uses the subject’s real words from the archives and manuscripts of the time. This gives the book a real immediacy and increases the intrigue. I like how she quotes letters and ambassador’s documents. The book is divided into sections just as Mary’s life was delineated. John White, Bishop of Winchester gave the sermon at Mary’s funeral. He says of Mary: She was a King’s Daughter, She was a King’s Sister, She was a King’s Wife, She Was a Queen, and by the same title a king also. So Whitelock divides the book into sections based on these parts of Mary’s life. There is a family tree, a beautiful selection of color photos and an extensive bibliography in this book. I highly recommend it. Now on to Linda Porter’s biography of Mary.